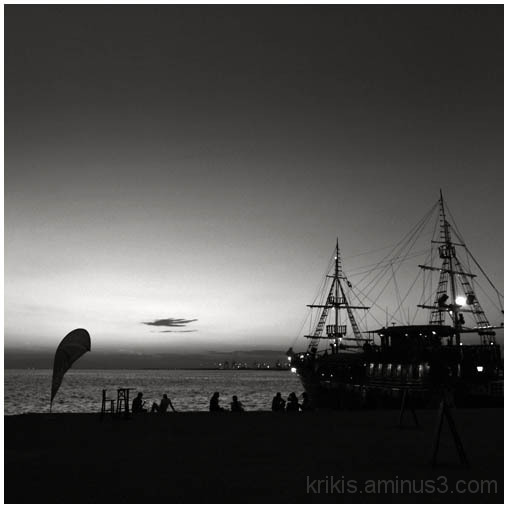 yiannis krikis (thessaloniki, Greece) on 6 October 2013 in Cityscape & Urban and Portfolio. A pleasant summer feel with the fine light, beach goers, and masts. seems like a festive place, nice shot.